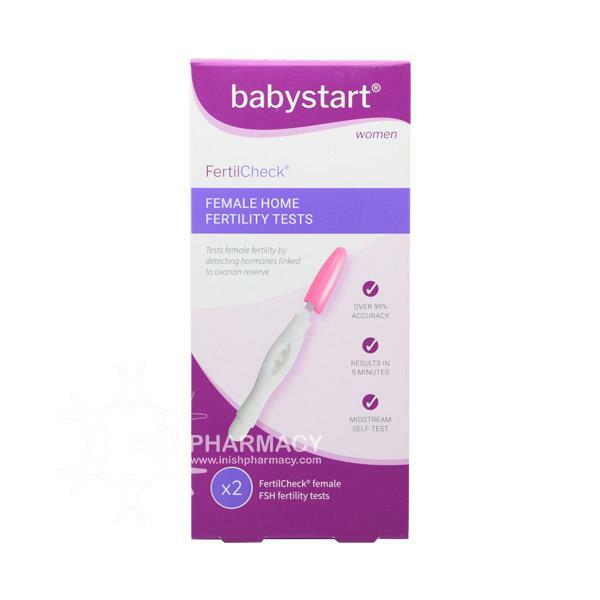 The Babystart FertilCheck Female Home Fertility tests help check females fertility by detecting hormones linked to the ovarian reserve. This midstream self-test is 99% accurate and shows results within 5 minutes. The test helps you determine if it is possible you may have reduced fertility by checking your follicle stimulating hormone from your urine. This pack includes 2 tests.